What is the Community Learning and Development Standards Council Scotland (the Standards Council)? The Standards Council for Community Learning and Development Scotland is the body responsible for the registration of CLD practitioners, the approval of training courses, and the continuing professional development of the sector workforce. The Standards Council was established by the Scottish Government in 2009. Why has the Standards Council set up a registration system for community learning and development practitioners? When the Standards Council was established by the Scottish Government one of the things it was tasked with was to “consider and establish a registration system available to practitioners delivering and active in CLD practice.” The Standards Council believes that Registration is an individual commitment to professional practice that will be recognised and valued by practitioners, partners, employers and training providers and that registration will strengthen the ability of the Standards Council to speak as the voice of the sector. How was the registration system developed? The Standards Council is a body of practitioners, managers and academics from the voluntary and public community learning and development sector. These individuals give of their time to drive the work of the Standards Council through four committees: Approvals, CPD, Registration and Membership and the Executive Committee. The development of the registration system as it is followed from a consultation exercise with over 120 practitioners across Scotland through 13 consultation events. There followed further discussion at the Registration and Membership Committee and with members of the Executive Committee. Why is it not a compulsory system? Consultations on the draft registration system showed a range of different views. There was roughly a two thirds/ one third split in favour of a voluntary system. The majority of those in favour of a compulsory system were public sector employees. There was also a groundswell to establish a voluntary system with a view to moving towards a compulsory system, and this possibility will be re-considered once the current system is firmly established. Decisions on the future direction of the Standards Council, and the registration system, will be taken by members. Why do we have two categories of membership? The Associate Member category reflects the desire to be inclusive of practitioners across the sector, in particular those employed by voluntary sector organisations, those in part time posts, volunteers and students. The Member category with its requirement for a Standards Council approved degree level qualification allied to two years verified practice experience is to help establish the credibility of community learning and development as an area of professional practice and its parity of esteem with other professions. This will also reflect on the credibility of the Standards Council as a representative body for practicing community learning and development professionals. Why do we need to have two years practice to become a Member? The system is registering practitioners not qualifications therefore there must be evidence of a practice element in the requirement for registration in the Member category. However the Standards Council is convinced that learning and professional development does not stop with the achievement of an approved degree level qualification. Professional community learning and development practitioners will grow in skills, confidence and understanding as they practice their craft and reflect on that practice with the underpinning knowledge that they have and within the developmental frameworks of the competences for community learning and development, the values and principles, the ethical standards and a commitment to professional learning. This is particularly important in the practitioner’s first post graduate position, whether paid or voluntary. This is where supported induction, professional challenge and exposure to continuing professional development opportunities will support how the practitioner approaches their work and represents their profession and will provide the opportunity to evidence the practitioner’s competence in real time, real world situations. This is why the Registered Member category of the registration system requires the practice element, to evidence the demonstration of competence and in particular the commitment to professional learning. The bar for Membership of this professional organisation has been set clearly – and set high from the outset. We recognise that this means that the process for registration will be somewhat more complex in that it will require verification of those commitments, but in our view, supporting people through the process is preferable to lowering the bar. This is a long term consideration and relates to the issue of parity of esteem with other professions as described below. 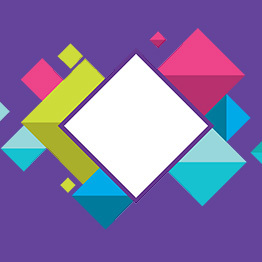 The Standards Council, through the development of this registration system, the competences for CLD, the code of ethics, the professional learning strategy and the i-develop service is actively putting in place the building blocks of a CLD profession that will be recognised for the value base and commitment of practitioners and for the delivery of high quality learning and development opportunities. Parity of esteem with whom? Parity of esteem with other professions was one of the main reasons people said they would support a registration system for CLD practitioners when we carried out our consultation. The examples most often quoted were those of teachers and social workers. The category of Associate member will be available to all practitioners, and the degree is already largely recognised as the licence to practice. The requirement for the Registered Member has been deliberately set higher than possession of the degree level qualification, so that it will demonstrate more than the achievement of an HE qualification -not just in experience but in professional identity, commitment and engagement. There is already an existing group of qualified and experienced staff. This model of Membership will affirm their qualified, and experienced, status. Learning and professional development doesn’t stop with the achievement of an approved degree level qualification – arguably that’s where it starts. Professional community learning and development practitioners will grow in skills, confidence and understanding as they practice their craft. The two year professional practice requirement provides the practitioner with opportunity to evidence their commitment and competence in real time, real world, real responsibility situations and in particular evidence the commitment to professional learning. Why 35 hours per year of professional learning? A recommended figure of 35 hours professional learning per year for those in full time CLD occupations has been set, and is considered both realistic and achievable, pro rata for part time staff or volunteers. It is also consistent with the professional learning requirements of similar professional areas. The professional learning requirement is in addition to any induction or required or regulatory training. This is an opportunity to be a part of and to shape the development of a body that will represent the community learning and development sector and will support the recognition of CLD as a professional approach that has a committed and professional staff cohort. What do we mean by professional learning? Professional learning is a combination of approaches, ideas and techniques that help individuals manage their own learning and growth. Within a learning culture it can include any event, formal or informal, that increases knowledge, experience and understanding, improves performance and contributes to lifelong learning. You can access the Standards Council’s professional learning CPD Strategy, A Learning Culture for the Community learning and Development Sector in Scotland. What will it cost me to be a Member? During the process of the CLD Standards Council Scotland becoming more independent of government, which is expected to take two to three years, registration will be free of charge. During this time we will consult with our growing membership on appropriate fee levels, length of term of membership and membership renewal processes for Members and Associate Members. The registration system was revised in September 2016 to remove the 10 years experience route to registration. Practitioners without a recognised qualification can still apply to become registered Members through the Individual Recognition process. The change was proposed by the Registration Committee and approved by the Executive Committee.